A seven-year old boy opens his eyes for the first time in two days. He’s been in a coma with his life hanging by a thin thread of hope. Fortunately he is receiving the most advanced medical care in the world. His caregivers are specialists and care only for children whose special circumstances baffle many medical professionals. His mother dozes in a recliner provided by the hospital so she can stay at his side. Something moves at the window. It’s daylight. He doesn’t know what time it is or even what day it is and really, he doesn’t care. Outside his window a figure comes into focus. It’s a man? No, well yes, a man but not just any man, it’s Spiderman. The boy blinks. Am I dreaming? he thinks but just then another figure swings by the window and waves, Batman is there as well. The boy smiles; the pain that has been gnawing at his head is forgotten. “Look, Mama, look!” he cries. Other little children from nearby beds gather round. They are about to taste a bit of magic on a day they are not likely to forget. 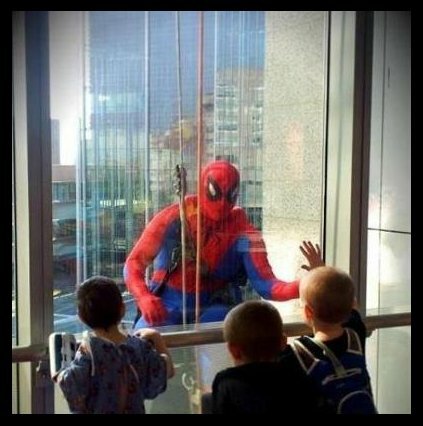 This owners of Allegheny Window Cleaning, Inc. bring a touch of cheer to the lives of children at Children’s Hospital of Pittsburgh with this wonderful Super Heroes project. 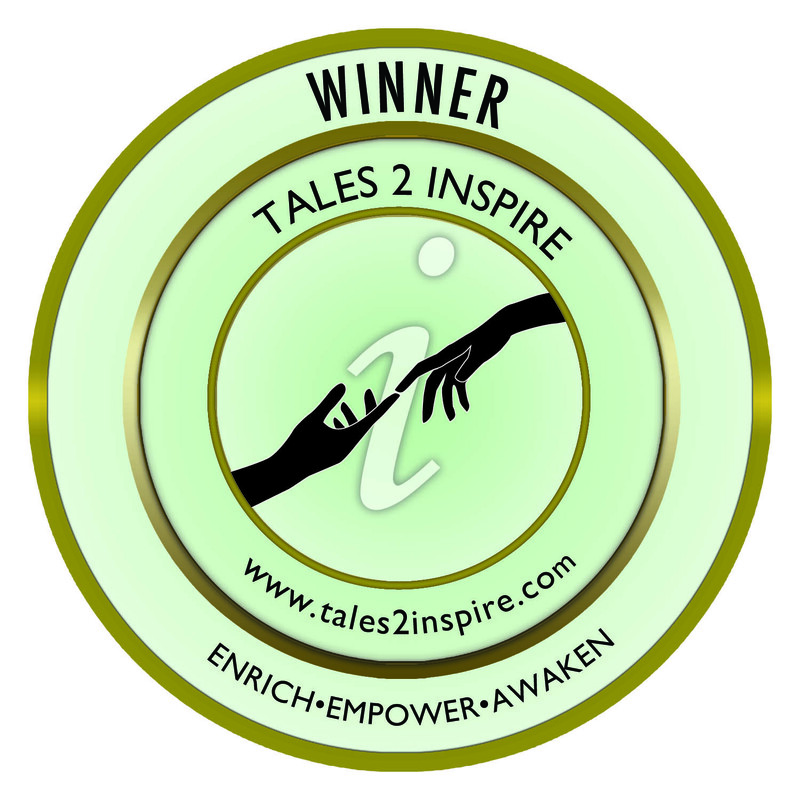 Rod DiGruttolo said it was a joy to bring this story to Tales2Inspire – an inspiring story for sure! a book filled with Gift of Compassion stories.